This unique 'Swimming Pool' drawing from 1978 documents Hockney’s interest for Californian pools, which he regarded as an allegory for the self-indulgent lifestyle of the West Coast. 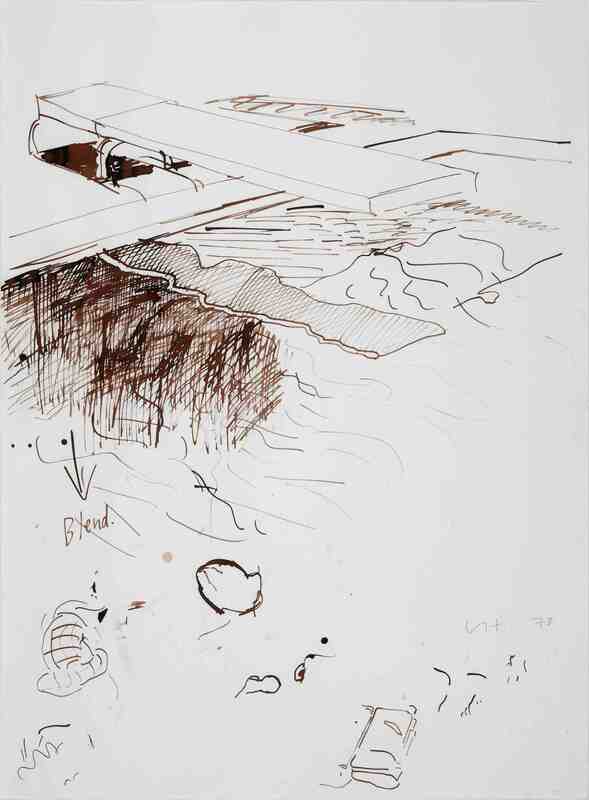 The work is dotted with various studies, as well as comments handwritten by Hockney, who used the work as an exercise for his seductive representations of pools. The inspiration for the poolside works came from his first trip to the West Coast in 1961. At the time, Yorkshire-born Hockney was only 24, and had been attracted to the States since his adolescence. Works from the poolside series can be considered Hockney’s most widely recognisable ones, and have been acquired by major galleries around the world, such as the Tate, the Liverpool Museum and the MoMA in New York.